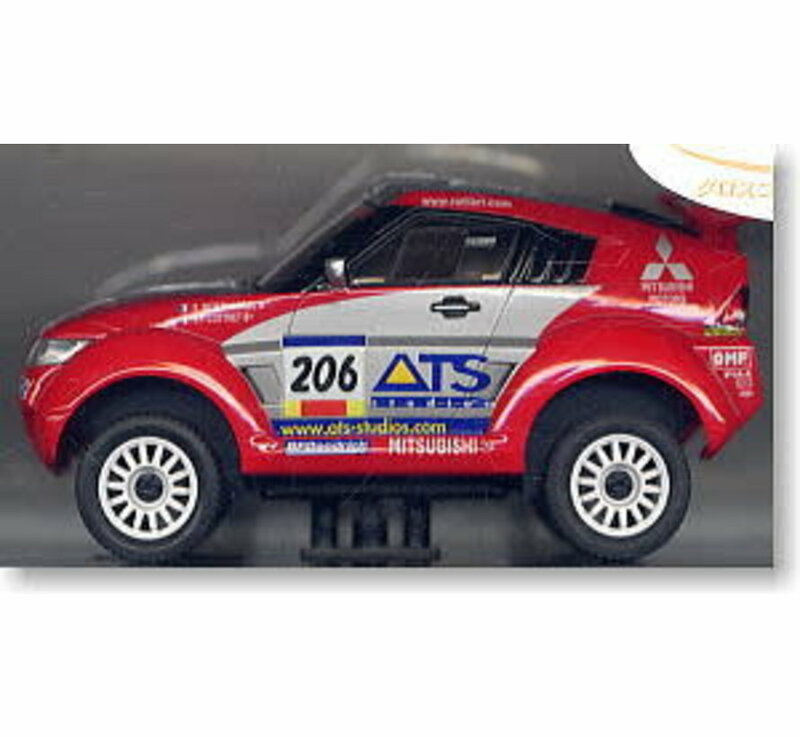 Kyosho Kyosho Mini-Z Overland (MVG6SP-B) Mitubishi Pajero Evolution 2003 Paris-Dakar Rally No.206 Autoscale - ExcelRC.com - Michigan's best RC store! 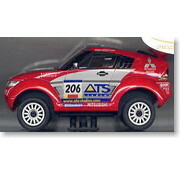 This is an Autoscale body for the Kyosho Overland that comes complete with an acrylic display case. 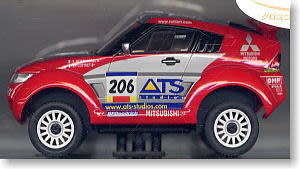 The body is mounted to a display-only chassis and includes the correct wheels, display tires and the front body mount needed to attach it to a Kyosho Overland Mini-Z chassis. This is only a body set.